Rachael starts her day with breakfast at Aggie's Garden Waterfront Cafe. This little piece of heaven was built in 1780, but it's only been a restaurant since 2003. Aggie's serves up organic produce and homemade pastries. Rachael tries one of their orange coconut scones fresh out of the oven topped with Bermuda honey and an organic french pressed coffee for a total of $4. 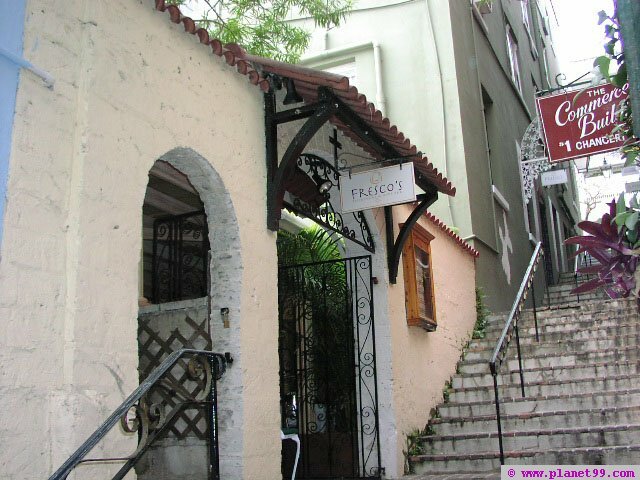 Next, she stops into one of her all time favorite restaurants on the island Fresco's Restaurant and Wine Bar (a place she says she visits each time she is in Bermuda). She tries a bowl of their Bermuda Fish Chowder (laced with sherry peppers & Bermuda Black Rum)- a Bermuda favorite! It is made with onions, diced chili peppers, tomato paste, grouper, tomatoes, potatoes, carrots, red peppers, chili pepper flakes, tomato juice, water, worcestershire sauce and hot sauce. This soup costs $6.25. Afterwards she heads to the Swizzle In, where the motto is "Swizzle In and Swagger Out." 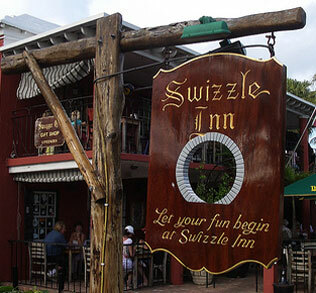 This place has been around for more than 70 years, and is THE place to have a Rum Swizzle or a Dark and Stormy. She orders a Rum Swizzle which is made from a blend of Bermuda and Black Seal rums, Falernum (a unique Caribbean syrup made from sugar and ginger), triple sec, pineapple juice, orange juice, lemon juice, a dash of bitters and is served icy cold. This drink costs $5.75. For dinner she goes to the Hog Penny Restaurant & Pub for dinner. 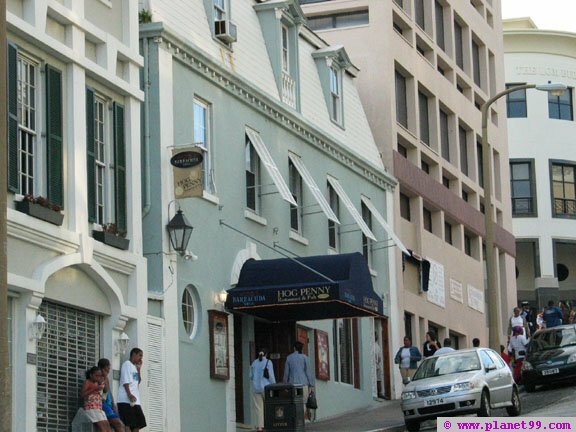 The Hog Penny is one of Bermuda's oldest and most authentic pubs. She is craving Indian curry and orders the Chicken Bhuna Masala for $18.95. It is made with garlic, finer, cardamom, green chilies, turmeric, tomato, coriander and chicken and is slow cooked for hours. She drinks water with every meal, but she does stay under budget!